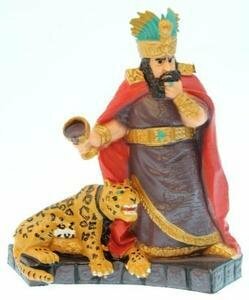 King Noah was totally corrupt and evil. The Book of Mormon tells that "...he did cause his people to commit sin, and do that which was abominable in the sight of the Lord." The people were taxed greatly to build his costly palace and temple, which he then defiled. The Prophet Abinadi warned the King to repent or be destroyed. The king did not listen and the prophecy was fulfilled.Ages 4 and up.